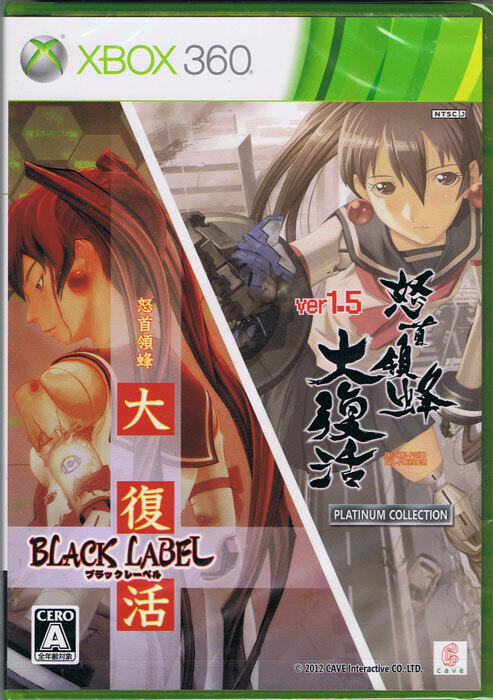 Dream double pack with two Dodonpachi Daifukkatsu games: ver 1.5 and the Black Label versions. 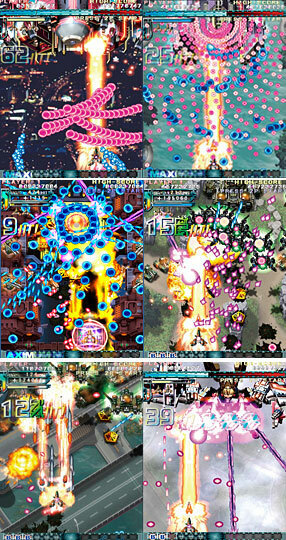 The chain meter clanks up as players shoot down adversaries to help boost score for the cool fingered gamers out there. The Akiba influence is definitely there too as players are assaulted from enemies from high school girl assailants to mecha maids. 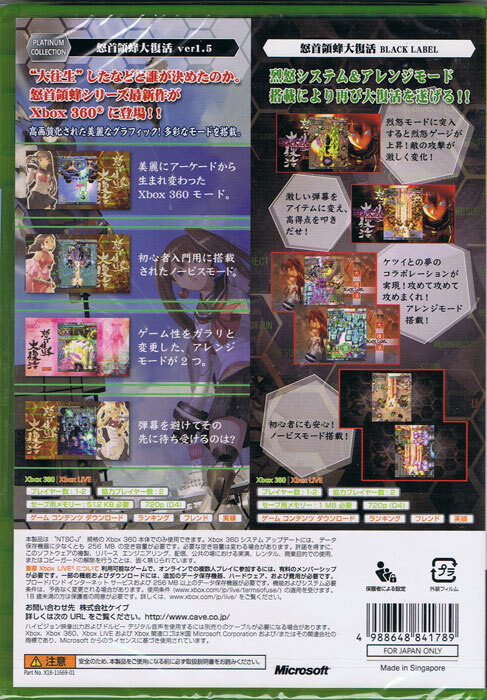 But underpinning the pink bullet eye candy are solid shooter mechanics and some sturdy level design. The on the ground vehicles keep players eyes twitching between multi levels as tanks grind along and trains whiz by. The water transparencies are exquisite too as ships fly out from under the surface having trailed the players vessel. But the 360s raw power is laos harnessed to make the bosses perform the odd 3D rotational twist workout.